Former House Majority Leader Tom DeLay's conviction on money laundering charges was overturned Thursday by a court in Texas. DeLay, who was once one of the most powerful men on Capitol Hill, was convicted in 2010 for allegedly trying to influence Texas elections by trying to channel nearly $200,000 in corporate donations to Republicans running for the state legislature, which is prohibited by Lone Star state law. Delay, who served more than two decades in the House before resigning in 2006, was sentenced to three years in prison. 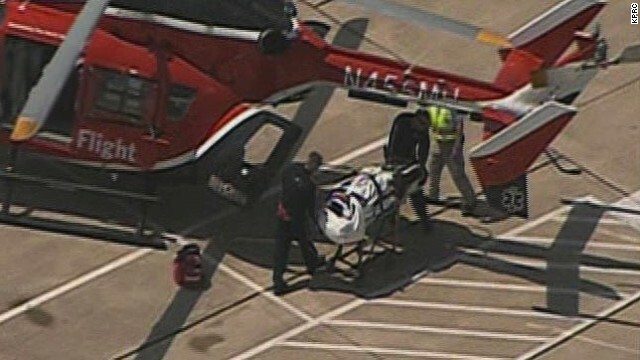 A 17-year-old student was killed and three other students were injured in stabbings Wednesday morning at a Houston-area high school, Harris County authorities said. The stabbings happened around 7:10 a.m. CT during a confrontation at Spring High School, about 20 miles north of downtown Houston, Harris County Sheriff Adrian Garcia said. Three students were detained for questioning at the sheriff's office, Garcia said. The names of the students involved in the incident weren't immediately released. Beth Poledna walks through her garage Thursday in Cleburne, Texas, as she begins the cleanup process after a tornado hit the area. [Updated at 3:31 p.m. ET] Tina and Billy Clark saw the funnel cloud approaching and did what many of their neighbors did. 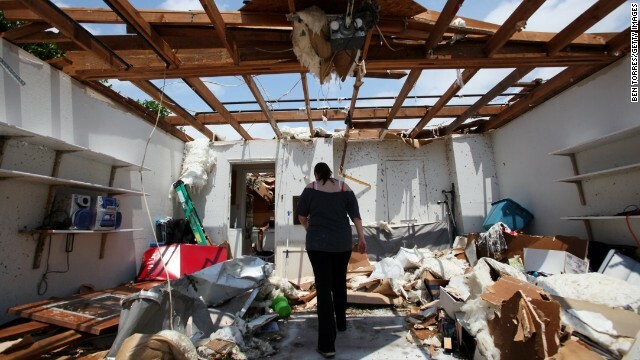 "We just ran and hid in the closet," Tina Clark told CNN after one of a swarm of tornadoes descended Wednesday night into their neighborhood in Hood County, some 30 miles southwest of Fort Worth, Texas. 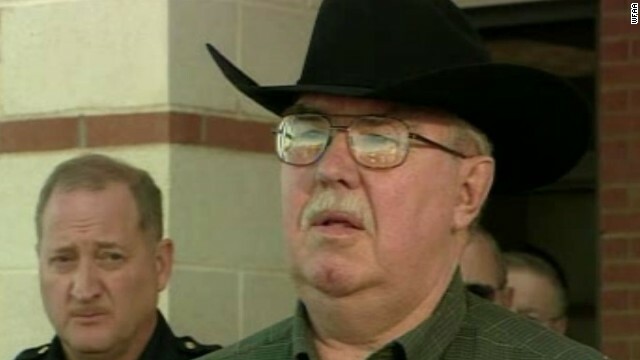 "I was holding the door shut," Billy Clark told CNN. "You could feel the pressure from inside the house. It was like pulling on the door a little bit. The whole house was shaking really bad. It felt like the house was getting ripped apart, but we couldn't see anything from inside the closet, so we didn't know what exactly was going on." 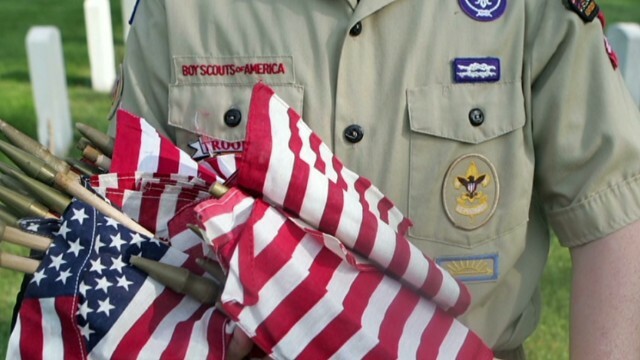 "You could just hear stuff hitting the house," his wife said. 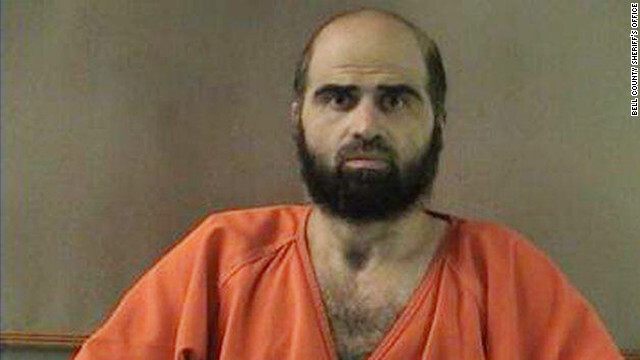 A military judge on Wednesday set a May 29 court-martial for U.S. Army Maj. Nidal Hasan, who is charged in a shooting rampage at Fort Hood, Texas, in November 2009 that left 13 people dead. Hasan is charged with multiple counts of murder and attempted murder charges for the alleged shootings at the post's processing center, where soldiers were preparing to deploy to Afghanistan and Iraq. Hasan's court-martial has been repeatedly delayed since it was initially set to begin in March 2012, most notably after an appeals court delayed the case over the question of whether the Army major's beard could be forcibly shaved. 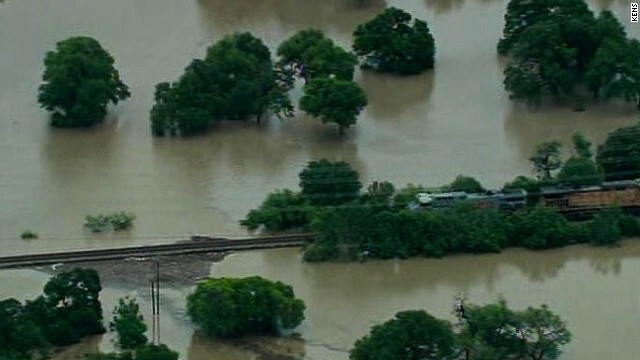 (CNN) - The fertilizer plant that blew up in Texas last week warned state and local officials but not federal agencies that it had 270 tons of highly volatile ammonium nitrate on site, according to regulatory records. The April 17 fire and explosion at West Fertilizer Co. killed 14 people and devastated the small town of West, Texas. Investigators have said they're not sure how much ammonium nitrate was actually on site at the time of the explosion, however, since plant records were destroyed in the blast. The company sold ammonium nitrate and anhydrous ammonia, both commonly used as fertilizers. It had notified state and local emergency management officials of its stock of both in its most recent declaration of hazardous chemicals, filed in February. Filed under: Texas • U.S.
A massive blast at a fertilizer plant Wednesday night killed what authorities estimate to be at least five people, wounded more than 160, and damaged 50 to 60 homes in a five-block area, officials in West, Texas said Thursday. The casualty count could spike to 60 or 70, said Dr. George Smith, the city's emergency management system director. "We have two EMS personnel that are dead for sure, and there may be three firefighters that are dead," Smith said. "There are a lot of people that will not be here tomorrow," Mayor Tommy Muska warned late Wednesday. The explosion ripped through a fertilizer plant and caused major damage nearby, witnesses said. 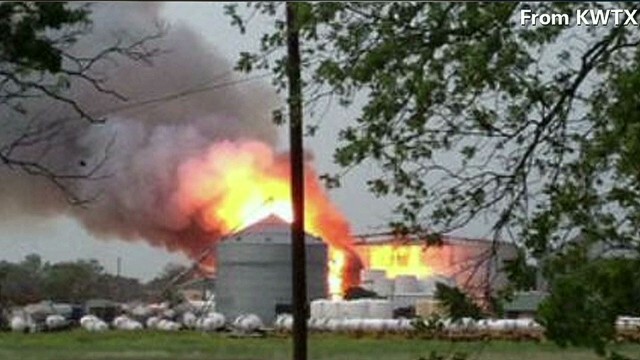 An explosion ripped through a fertilizer plant Wednesday night in West, Texas, a witness told CNN. A hospital in Waco, Texas, has been told to anticipate 100 injured people coming in from a fertilizer plant where there was a massive explosion, an official at the medical facility says. Glenn Robinson, CEO of Hillcrest Hospital, said a field triage station was set up at the plant some 18 miles north of Waco after the Wednesday night explosion. CNN affiliate KWTX showed a photo of the explosion - which reportedly happened around 7:50 p.m. (8:50 p.m. ET) - showed a huge plume of smoke rising high into the air. Dylan Quick overcame a childhood disability and had big plans for the future. But on Tuesday, the 20-year-old student went on a stabbing spree on his Texas college campus, authorities said. By the time campus police took him into custody, 14 people had been injured at Lone Star College. It's unclear how many of the injured were stabbed and how many suffered other injuries. The campus shut down Tuesday, but will reopen Wednesday. Kaufman County District Attorney Mike McLelland and his wife were found slain last week, two months after his chief felony prosecutor was killed. The manhunt for whoever gunned down two local prosecutors faces a steep battle, even with a deluge of local, state and federal authorities scouring for clues. Law enforcement sources say investigators are starting from scratch, with no leads in deaths of Kaufman County District Attorney Mike McLelland and his wife, Cynthia, CNN affiliate WFAA reported. Nor do officials have any further ideas on who killed McLelland's chief felony prosecutor, Mark Hasse, who was shot to death outside the county courthouse in January. 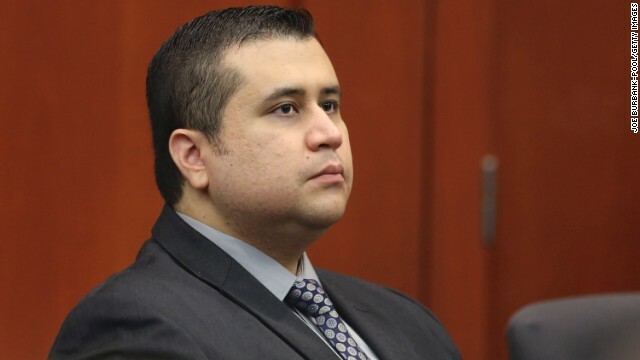 But justice officials across the state are on high alert, unsure if or when a similar strike might occur. "This, I think, is a clear concern to individuals who are in public life, particularly those who deal with some very mean and vicious individuals - whether they're white supremacy groups or drug cartels that we have," Texas Gov. Rick Perry said.